‘A silly o’clock’ swim’ was what a friend called her suggestion for an early morning birthday (her’s not mine) swim. Quarter to six in the morning was certainly an unusual time to arrive at the beach but ‘Friends Who Say Yes’ are important and I had been awake since four thirty anyway. I think all of the outdoor sleeping this year has got to me, even at home Mr B2 and I are sleeping with the windows and curtains open. We had another birthday sea swim (this time with cake and more people), in the same spot, exactly 12 hours later. 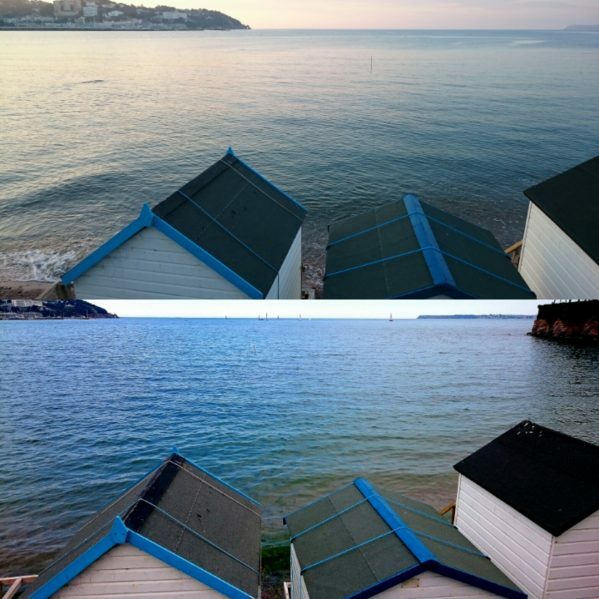 The sea looked pretty much the same for both of them but looks can be deceptive. The morning had been flat, calm and clear whereas the evening was more churned up and full of seaweed tentacles which, if you have the type of overactive imagination that I have, can very easily be transformed into jellyfish tentacles. What did strike all of us on both occasions, however was how warm the water was. 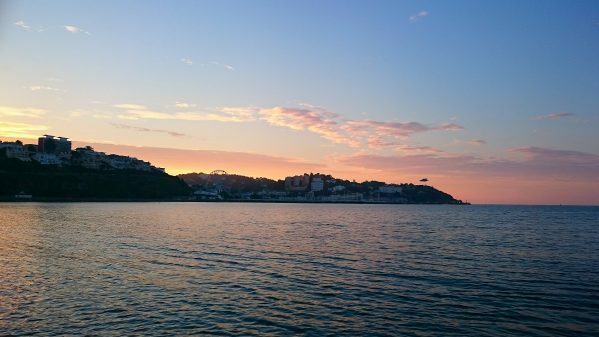 Even after New Zealand’s balmy shores, submersing in Torbay’s water is currently disconcertingly like stepping into a tepid bath (but still a wonderful tonic). With a month or so to go before the warmest water and the official temperature at 18.7 degrees, I wonder whether we are approaching some kind of record. It is great to see more swimmers in the sea and watch their antics as they get in. Last week I watched a young man doing a lot of jumping as he ventured ever deeper.